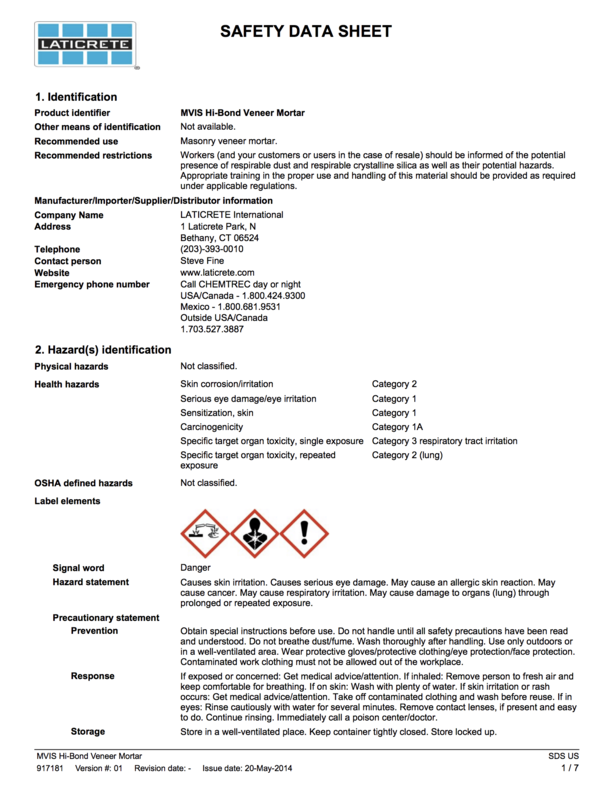 The ultimate, polymer fortified, adhesive mortar for interior and exterior installation of large format adhered masonry veneer stone. 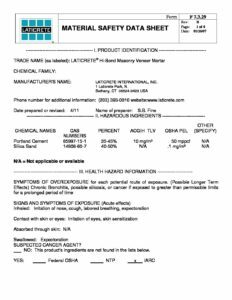 LATICRETE® Hi-Bond Masonry Veneer Mortar mixes easily with water and is formulated to achieve unsurpassed workability and adhesion. 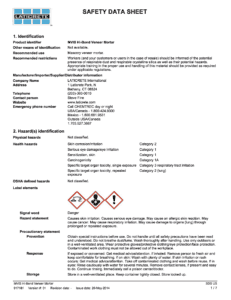 MVIS™ Veneer Mortar is a patented, versatile polymer fortified mortar designed specifically for the installation of adhered masonry stone veneer. 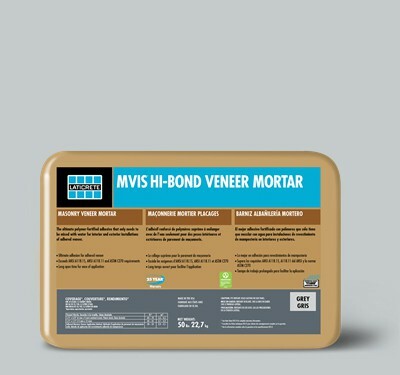 Hi-Bond Veneer mortar is a zero VOC (Volatile Organic Compound) mortar, meaning once cured there is no off gassing. 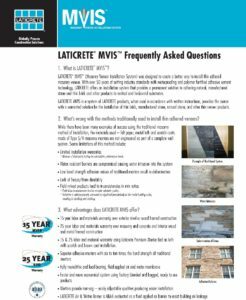 LATICRETE® has developed an installation system that provides a permanent, high strength installation that is freeze/thaw stable and protected from water intrusion. 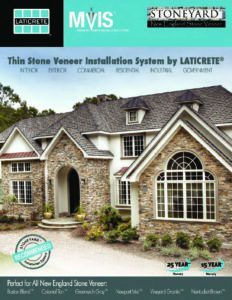 Backed by either the LATRICRETE® 25 Year System Warranty or 15 Year System Warranty, the LATICRETE® Masonry Veneer Installation System (MVIS) allows for increased productivity utilizing either masonry veneer techniques or the “tile setter’s” method. Architectural details are offered at www.laticrete.com/mvis to help design professionals, contractors, and installers understand the range of possible application – and appropriate products and techniques which will assure long-term performance on projects of all types. 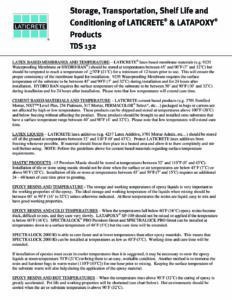 According to LATICRETE, there is a simple rule to follow when the temperature is low during installation: The 18º (8ºC) Rule – for every 18ºF below 70ºF (8ºC below 21ºC), portland cement and epoxy based materials take twice as long to cure. 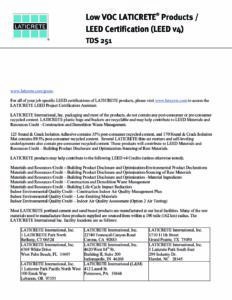 For more information, please download the below specification and contact LATICRETE International with your specific project needs.